When you&apos;re a kid, it&apos;s not out of the norm to hang upside down on a jungle gym, or swing from a rope on a playground. It is a bit different when you&apos;re doing these things as an adult...in a yoga class. 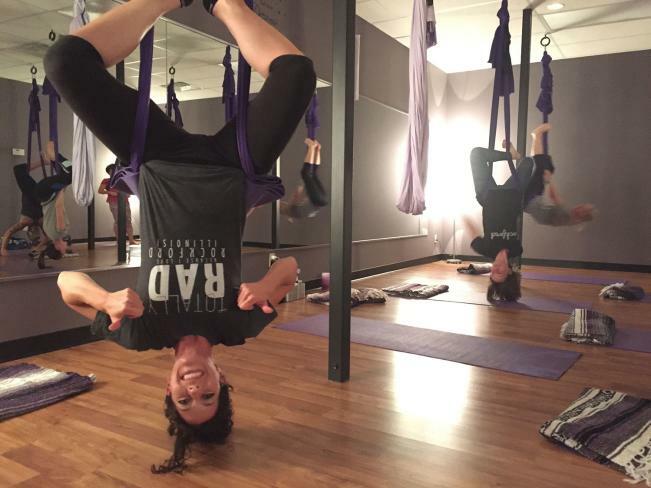 That&apos;s right, I&apos;m talking about aerial yoga. I&apos;d heard of it, but I had never tried it until last week. My younger sister asked me if I wanted to try it with her, and of course I said yes. It actually snowballed into a whole group of 7 people going! The studio we went to was Nspired Yoga, and once you step foot into the building, you already have a sense of calm. We took off our shoes (you can go barefoot or in socks) and went into the aerial yoga room. There in the room were 11 giant, purple, silk ribbons hanging from the ceiling. Once we all had a designated silk and had the height adjusted, the first move was to wrap the silk around your arms and wear it like a backpack. Then we went into a seated position so the silk was the only thing holding us up. Yoga is designed to be relaxing...but I&apos;m not going to lie, I was giggling or outright laughing through a good portion of this class. Especially when one of the moves is to flip on the silk so you&apos;re hanging upside down. Legs (mine especially) are flailing every which way, but somehow you eventually find your balance and get situated. Don&apos;t worry, not all the moves are flipping upside down. It may feel like Cirque Du Soleil at times, but other times you&apos;re in such a comfortable position that you could literally nap all curled up in the silk. I&apos;m not kidding! At one point, we were all in our own little silk cocoons. Even at the end when we&apos;re winding down from class, the last move is to lie down in the silk so it&apos;s like you&apos;re lying in an enclosed, personal hammock. Despite looking ungraceful and getting a little topsy-turvy from hanging upside down for a while, the class was amazing. Actually, my mom and two sisters and I are taking another class this week! Did I mention that most of us were rocking Rockford and/or RACVB shirts? 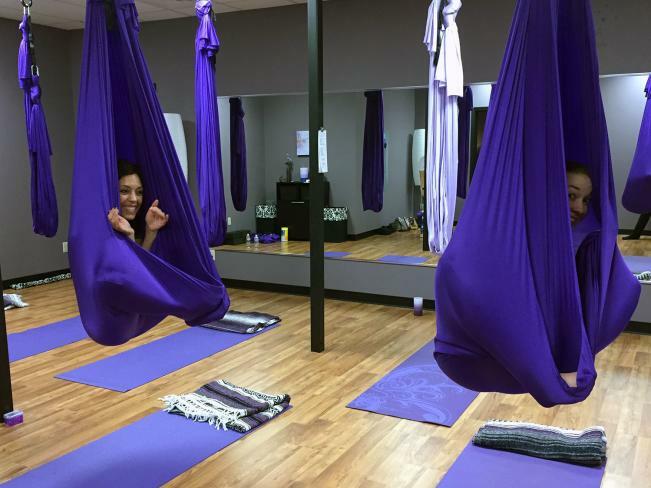 If and when you go take an aerial yoga class for yourself, Nspired Yoga will take good care of you. I can&apos;t say enough good things about the instructor, Nancy. She was very patient with all of us newbies in the class and helped us do each move along the way. She even let us stay after the class to get some photos and perfect our forms in the various yoga positions. 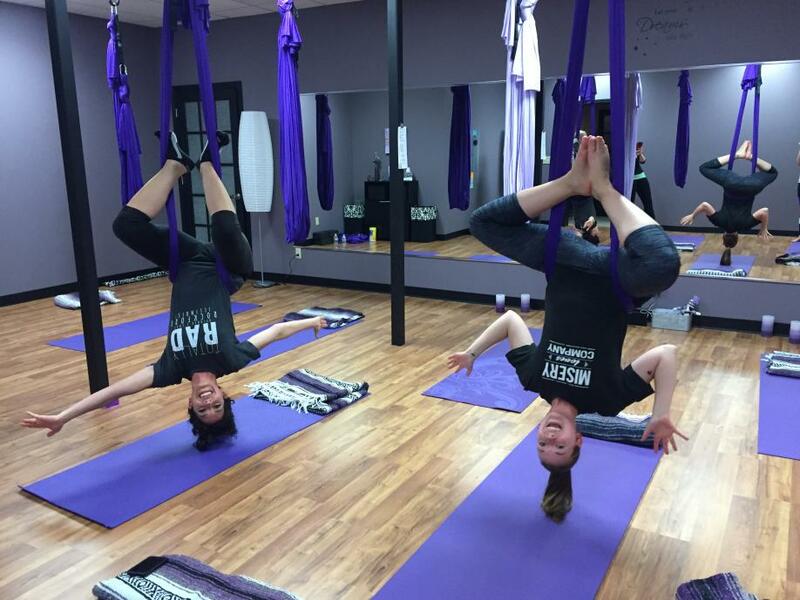 Want to try yoga, but aerial yoga not your thing? 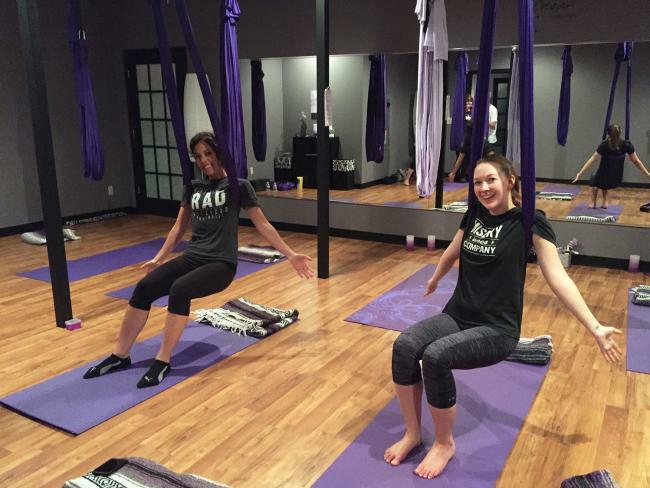 Rockford is home to a number of incredible yoga studios just like Nspired Yoga and each one offers a variety of classes for different levels. 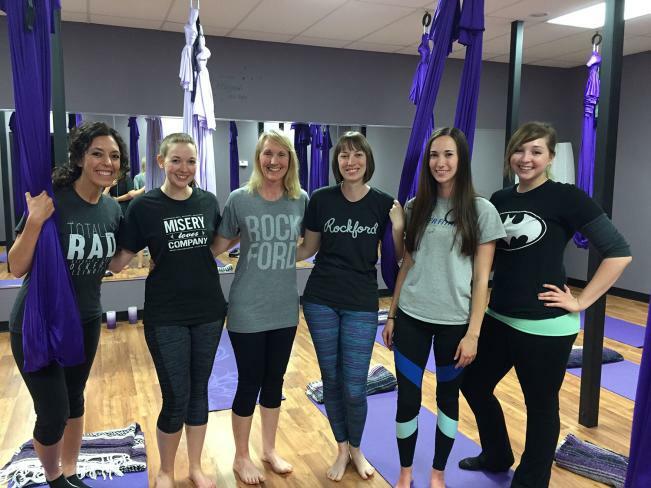 Check out our "Why We Yoga" blog for more info and inspiration for yoga in Rockford!